Anime is an animation style originated in Japan that is characterized by distinctive characters and backgrounds. Storylines may include a variety of fictional or historical characters, events, and settings. Manga is Japanese for "comics" or "whimsical images". Manga developed from a mixture of ukiyo-e and Western styles of drawing, and took its current form shortly after World War II. Manga is usually published in black and and is read from top to bottom and then right to left. 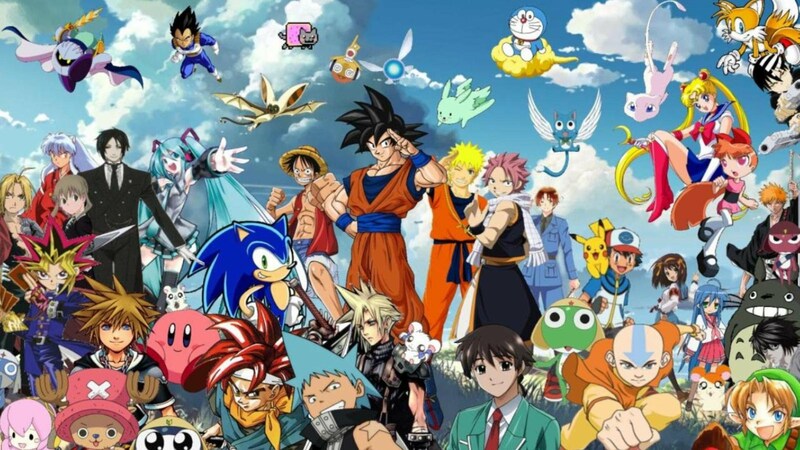 Anime and manga share many characteristics, including exaggerating physical features like large eyes, dramatically shaped speech bubbles, speed lines, and onomatopoeic, exclamatory typography. Readily searchable database of lyrics to anime theme music, soundtracks, and broader J-Pop releases. Cross-references titles in both Japanese and English and by performing artist. Lyrics can be viewed and printed in English, Kanji, and Romaji. Great site for news and reviews of current and upcoming features, including a full media profile for manga, soundtracks, DVDs, and theatrical releases. Also includes news from broader Japanese pop media, blogs, a convention report, links to e-zines, and an anime and manga encyclopedia.